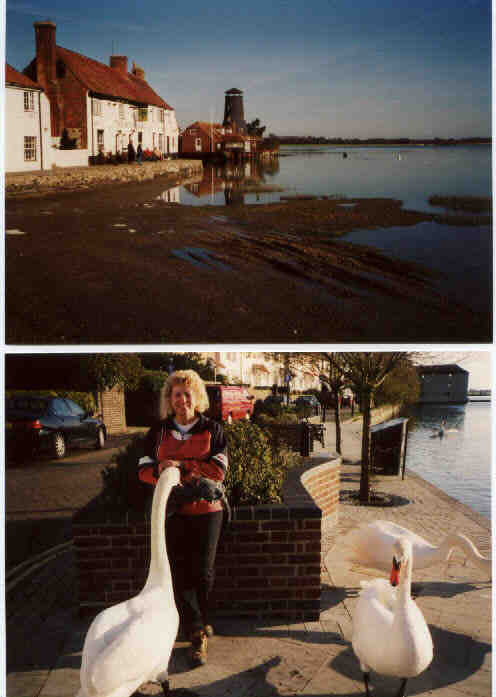 An ideal walk round the coast from Langstone to Emsworth and back provides beautiful views of the coast, a number of pubs - the one at the end of Langstone High Street (pictured below), originally two or three smugglers' cottages is old and quaint. There are a good selection of tea rooms at Emsworth before returning to Langstone across the fields by way of Warblington Church and castle. Along the way one can see the remains of abandoned water cress beds.